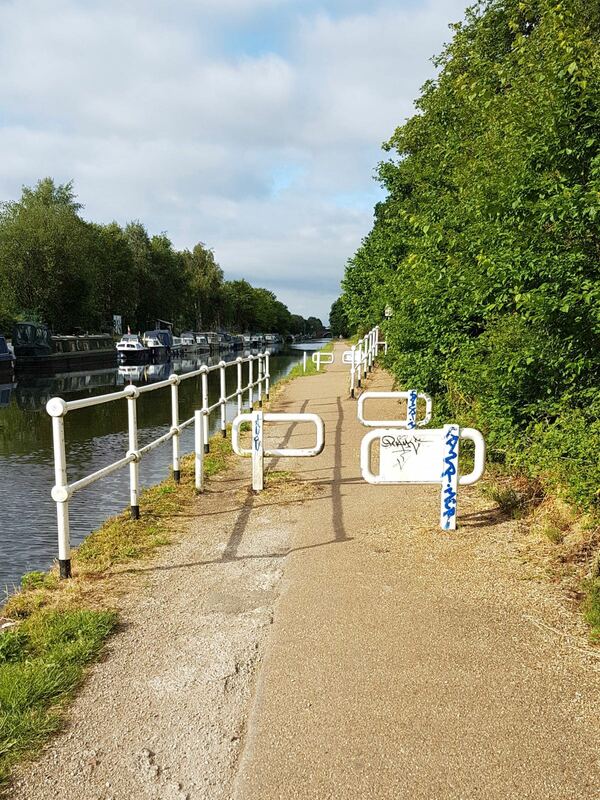 While it’s far from perfect, the Bridgewater Way is now a key cycle route through Trafford, providing a relatively safe way to travel between the north and south of the borough, into the city centre and beyond into Salford and Cheshire. Since January, it’s also been part of my route to work, on my commute to Timperley. Having a mostly traffic-free route has made a massive difference to me. I previously worked in Cheadle, which involved negotiating some pretty unpleasant polluted roads and dangerous junctions through Chorlton and Didsbury. While the Bridgewater Way is a useful route, there’s some pretty fundamental issues with it being a key cycle route. Most of the issues stem from the fact it’s a narrow shared path that’s only really suitable for leisure purposes, rather than commuting. The path has to cope with being used by people cycling, people walking, people walking dogs, families, rowing and cruising clubs. With so many different types of users at varying speeds, it unsurprisingly leads to conflict. Add into this a path of variable quality and encroachment from vegetation, and you have even more conflict. People cycling tend to get most of the blame for the conflict. 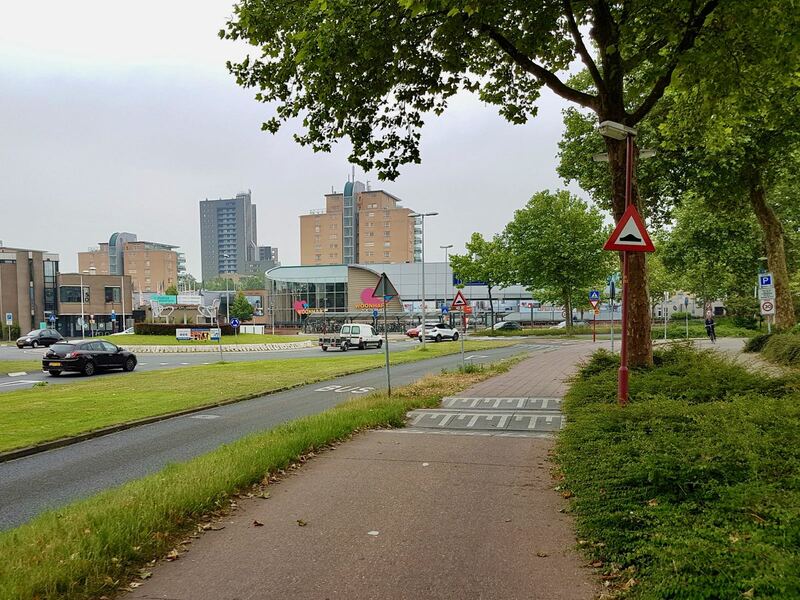 While you do get some people riding in a way that’s inappropriate (too fast or inconsiderately) for a such a narrow shared path, this isn’t true of most people. 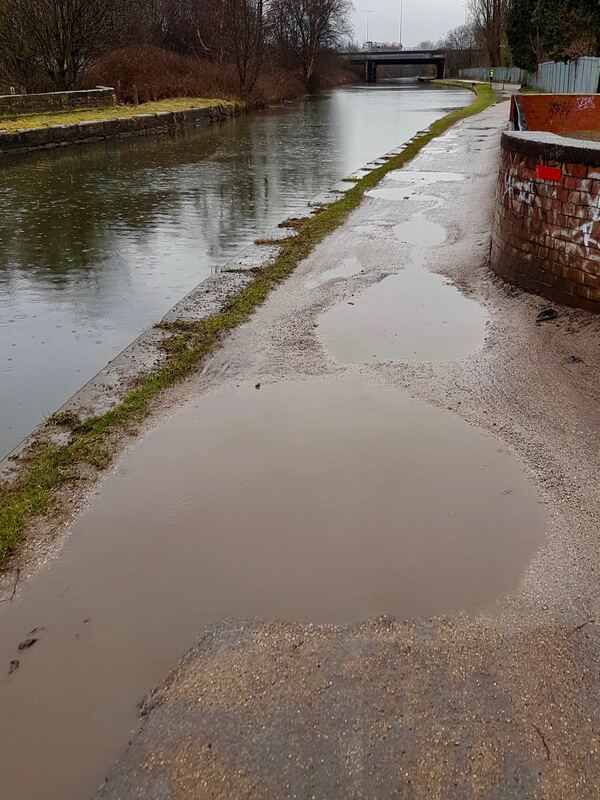 Indeed, many other users of the path can be seen to be acting inappropriately, such as people walking dogs without a lead, which contravenes the rules of the canal. Though they rarely get a mention. Most of the canal path is free from barriers, which is a good thing. Though there are permanent barriers at Springfield Primary School in Sale and temporary barriers used by Trafford Rowing Club at Walton Park. While these are less than ideal, particularly as they don’t achieve much. They don’t pose too much of a problem, in terms of accessibility. Unfortunately, this isn’t true of the new barriers that have been put in place in Stretford, outside the Watch House Cruising Club. Initially, temporary barriers were added, which have now been replaced permanent barriers. These permanent barriers are much more substantial than the ones at Springfield Primary School, and cause bigger problems. They can be quite challenging to negotiate on a bike, particularly for novice riders. They also partially or wholly block access to those using a non-standard bike, such as a cargo bike, trike or someone towing a trailer. I’ve asked the official Bridgewater Way account on Twitter the purpose of the barriers and who they’ve been added for. I’ve yet to have any response, which is similar to when I’ve raised maintenance issues. Did it have to be this way? What other options are there? Well, it’s fair to say there isn’t an easy solution to the conflict issues. The Bridgewater Way should really just be a leisure route. So the obvious solution is to provide an alternative, dedicated and safe route for cycling, probably on the A56. This isn’t going to happen any time soon, even if there is the money and political will to do so. Other than that, what can you do? Smaller barriers? Speed bumps? Possibly, neither are ideal, but would potentially be better than what’s been installed. An effort could be made to widen the path at some of the busier parts of the route. In Sale, this could be done relatively easily, though would require more effort and money than installing barriers. It’s worth remembering that a substantial amount of cycling money was spent to provide upgrades to the path. Specifically CCAG money as part of the Velocity 2025 scheme. 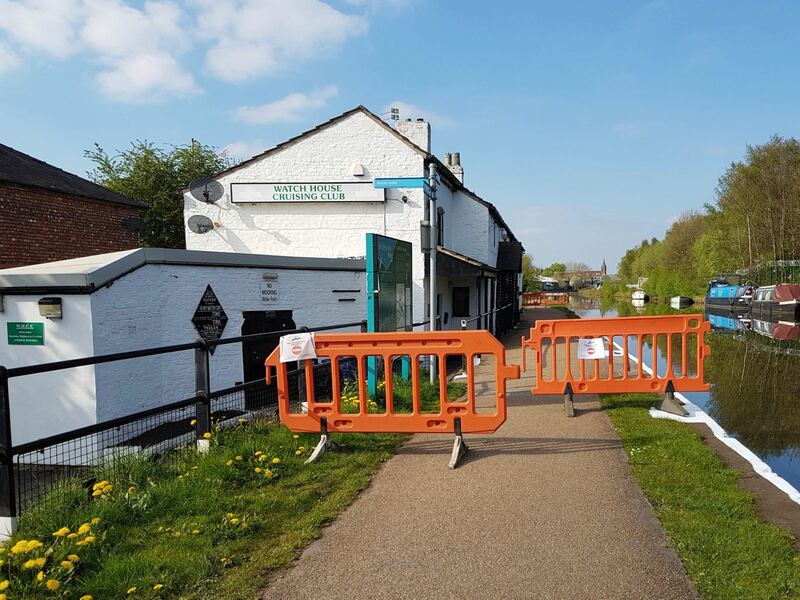 It’s a worrying situation that Peel, who own the Bridgewater Canal, appear to be actively trying to prevent people cycling. Hi I wholeheartedly agree with you. As a wobbly cyclist who commutes to work along there, I have just taught myself to get through without falling off! Impossible for trailers or tandems. If they need to slow people down there (is it a real or imagined problem) two offset barriers would do it without making it inaccessible. A while ago peel holdings were interviewing people to get their views on the canal path usage. I wonder if there is any way of getting the results? As it starts to get darker 😦 wonder if the lights under the motorway have been repaired yet. Do we all need to complain? Bring back the National Cycling Proficiency scheme which did teach you the ‘wiggle-woggle’ test round cones! Very useful with panniers when passing through here without putting feet on the ground. Just have a mad sheepdog to contend with from one of the floating rust buckets. All-in-all though, they are not much worst than the Sustrans Chuggers who are always hanging around the Chester Road/Waters Meeting and Throstle’s Nest bridges (on/by/under!). But. at least, a) they can move and b) are softer to run into! As it’s now pitch black on my commute home at 5 or 6 pm would really like some lighting. If you have bright lights then pedestrians or other cyclists complain they are blinding but with lights on a low setting you can see barely anything on most sections. Agree with all the other points – didn’t know dog walkers had to keep their dog on a lead. Entirely agree regarding street lighting. Can’t see many people and the worst section is round Stretford. All ought to use hi-vis vests, at least (although I do understand that the drug dealers do not want to be seen!). However, regarding high intensity lights, these are just as much a hazard to cyclists going in the other direction and I think that their should be limits on their brightness by law.